As a professional Environmental Educator, with a background in marine biology specifically, the world of BOTANY (the study of plants) is a relatively new adventure for me. Luckily, I have amazing and knowledgeable friends who have walked me into this wonderful world of plants! As I continue to learn more about plant identification, care and health benefits, I am excited to share their knowledge with you all. I am beyond thrilled to introduce you all to my "go-to" Botanist Buddy, Zoey Manson! Zoey and I work together often on planted instillations, styling, art and horticulture. She is a walking talking encyclopedia of plant knowledge and she is eager to share her knowledge with you! We are so excited to announce our new joint venture: Ask a Botanist! This page is a place for you all to engage with us and ask us all your plant related questions. 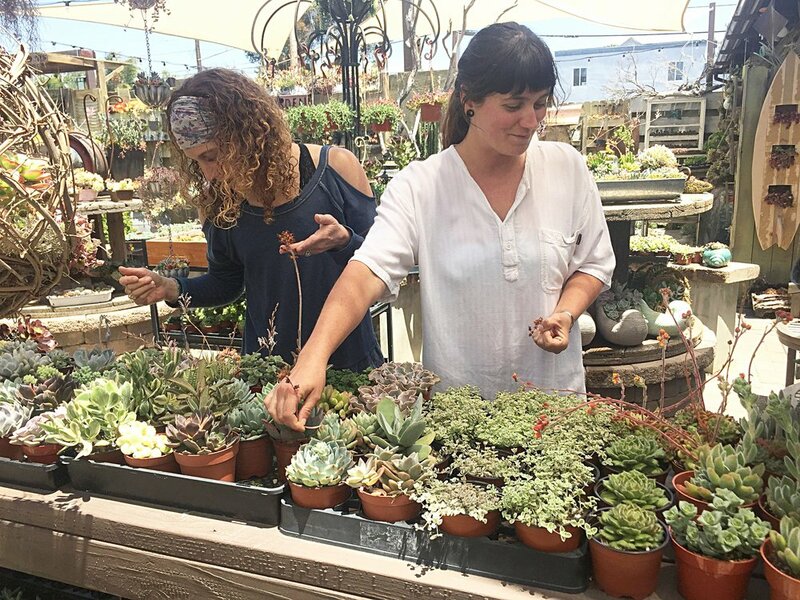 Whether you are attempting to identify specific types of plants, need care instructions or some tips for an ailing plant, or are looking for a plant for a specific space or function, Zoey and I are excited to support you in your plant lover journey! We will also be featuring a favorite Plant of the Month and plant suggestions are always welcome! So check out our collaborative page and send us your questions (you can even upload photos!). You can also let us know what types of plants or planted art you would like tutorials on so we can create content just for you! Thank you all so much for following along and for engaging with us! We are so excited to offer you this new, valuable and FREE service!